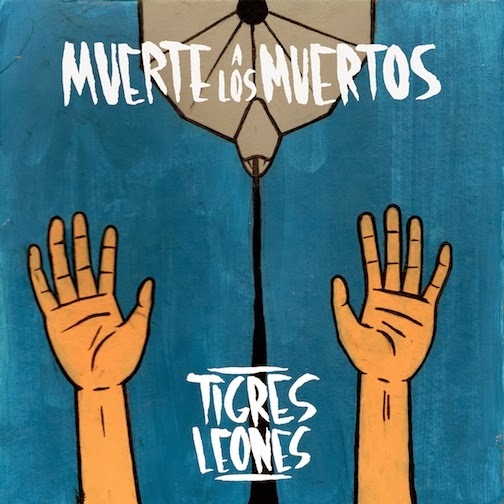 Tigres Leones present three new songs in their new EP, Muerte a los Muertos, released by Madrid label Sonido Muchacho. This is the third EP of the garage pop trio, based in Madrid and in Sevilla, after two other releases in 2011 and 2012. They published their first album Mucho Spiritu on January last year and have extensively toured Spain since they formed the band. Muerte a los Muertos sounds refreshing and playful, revealing influences from other Spanish bands such as El Niño Gusano or 90’s classics like The Pixies or Blur. The last track of this EP, “España muerde” is an instant hymn based on powerful drums, repetitive guitar riffs and a voice track that delivers lyrics telling us that “España quiere que seas feliz, que tu vida no sea tan gris.” The two other songs are as catchy and energetic and have a clearer psycho-surf taste. This EP just leaves us with plenty of appetite for whatever is to come.